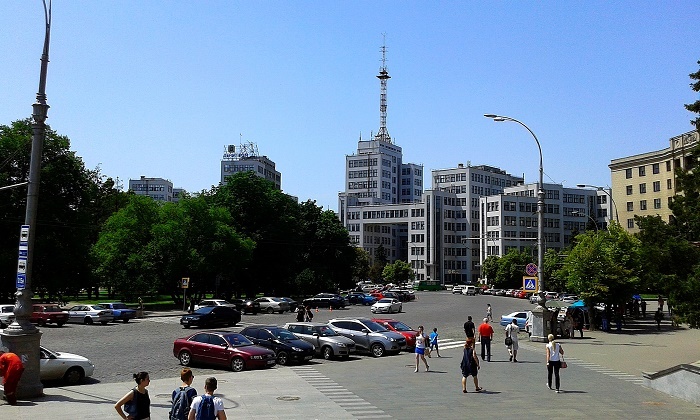 The Derzhprom, as it is known in Ukrainian, and Gosprom in Russian, is a governmental building that is located on Freedom Square in the second largest city in Ukraine, Kharkiv. 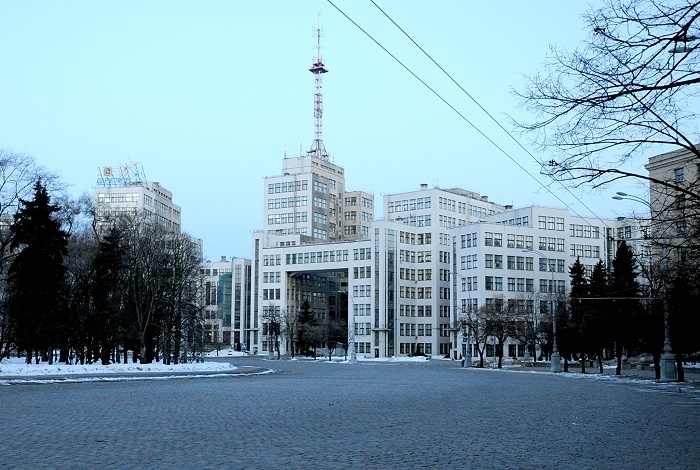 The building is known also as the Palace of Industry or the State Industry Building , from where it gets its name, Derzhprom. 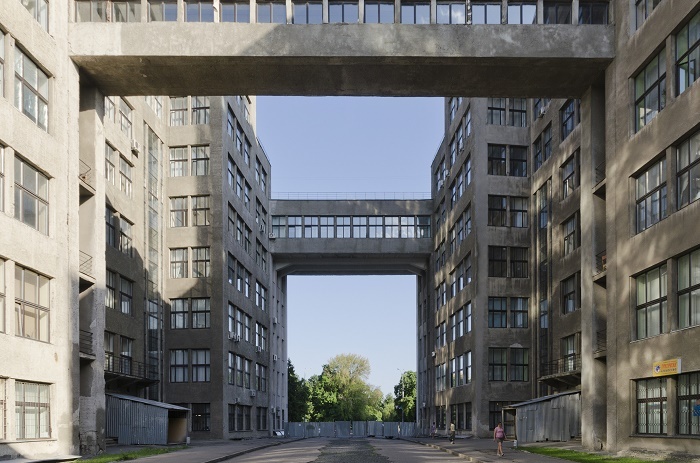 This constructivist style architectural marvel was built between 1926 and 1928, making it one of the highest structures within the USSR, being 63 meters (207 feet) high. 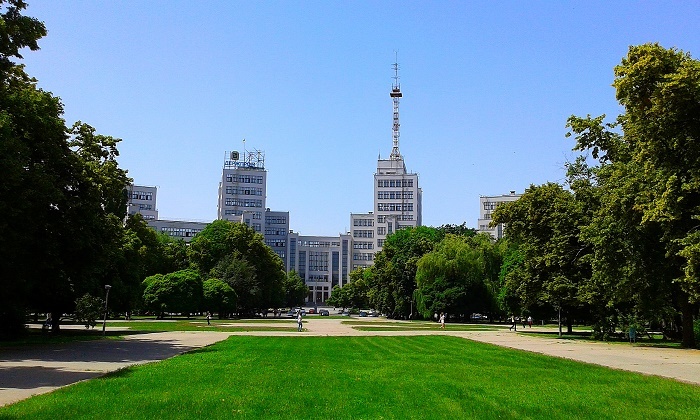 That changed in 1955, when a TV tower was installed on the roof of one of the towers, where the whole complex reached the height of 108 meters (354 feet). 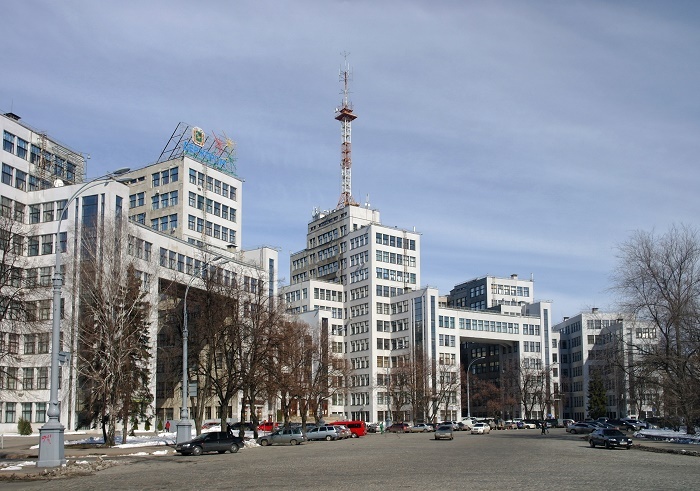 Designed by the Soviet architects Sergei Serafimov, Samuil Kravets and Mark Felger, the Derzhprom Building was the most spacious single structure in the world by the year of its completion, which later sadly was surpassed by the skyscrapers from 1930s that began rising like mushrooms in New York City. Occupying a vast part of the circular square, when standing in front of the building, the symmetry can be seen right away, which together with the system of overhead walkways and individual interlinked towers became quite modern and innovative for its time. 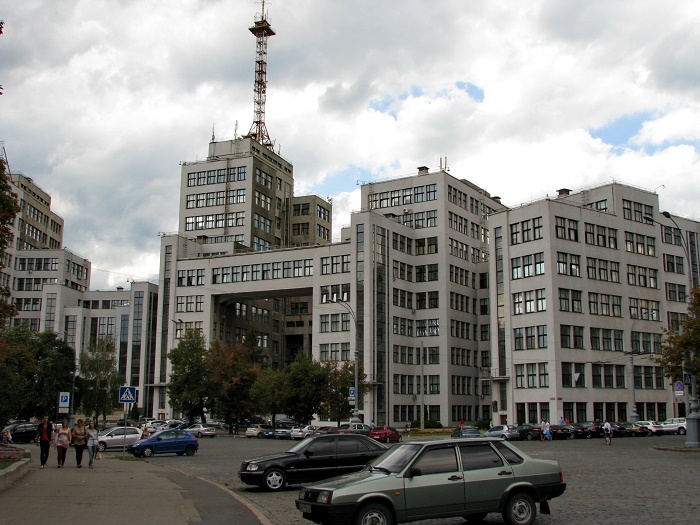 As Kharkiv was the capital of Soviet Ukraine between 1919 and 1934, the building was considered to be the central building, the Houses of Parliament, which became obsolete a decade after it was finished building. 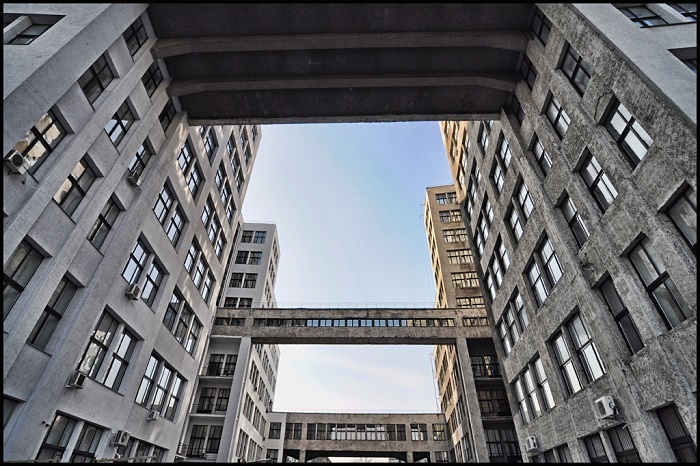 Even though it is considered to be a one piece array of concrete, it is a really strong building, and even the Germans during World War II unsuccessfully tried to blow it up, due to the monolithic reinforced concrete construction. There are 12 elevators within the building, and 7 of them are still functioning and they are the original ones that were put in 1928. 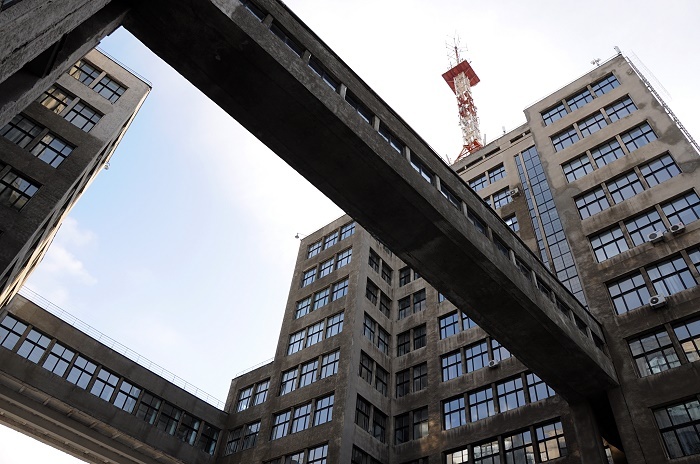 The length of the bridges that connect every single building measure up to 26 meters (85 feet), and where the fifth entrance of the building is located, there is museum which was opened in 1980 with dedication to the building and the Kharkiv writer Z. Zvonytsky. 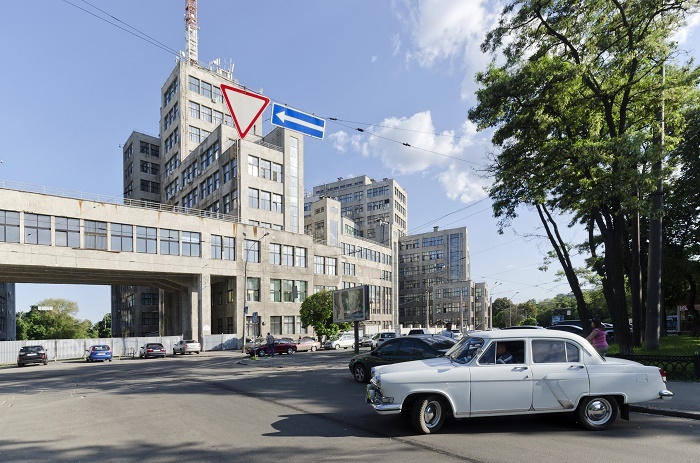 In addition, there was a reconstruction of the building, which interestingly enough was carried out in couple of phases that lasted 7 years, more than the construction of the building itself. 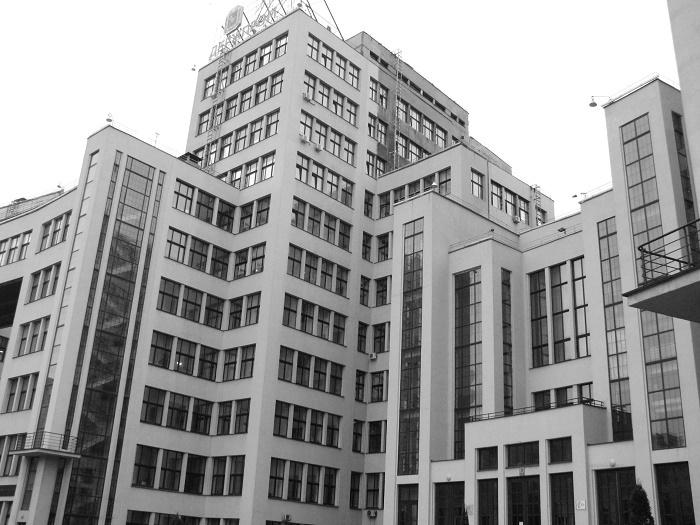 Nowadays, having survived numerous swings, Derzhprom still stands dynamic and still, and shall continue to speak about its remarkable history of withstanding the change of local politics from Ukrainization to Russification, and back again.